Whatever words could be used to describe season 2007-08, dull wasn’t one of them. A mammoth 10-month, 37-game campaign turned into a rollercoaster ride of highs and lows, but nevertheless everyone connected to the club ended up feeling positive about the way the club is heading. Assistant manager Jocky Taylor departed for Dalkeith Thistle, taking several players with him. Also saying their goodbyes to Victoria Park were Mark Brown – top scorer in the previous two seasons – who left for Peebles and midfielder Craig Dickson to Civil Service Strollers. With the majority of the squad from the previous year having been drawn from the Dalkeith area, manager Stuart Robertson, alongside new assistant Robbie Clark, was tasked over the summer with adding a more local flavour to the side, and delivered. 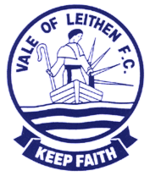 Leithen Rovers, coached by former Vale players Alan Notman and Lindsay Rathie had been the outstanding side in the Border Amateur League during 2006-07, winning the league title, plus the coveted South and Beveridge Cups. Three of the key players from that side joined up with Vale – goalkeeper Mark Wilson, midfielder Colin Smith and 37-goal striker Aaron Somerville, with Vale having to compete with fellow Borders sides Gala Fairydean and Selkirk for the latter’s signature. Also joining up were a quartet of players from Peebles – big centre-half Campbell Forsyth and forward Greig Shortreed were welcome additions to the pool, while Steven Whiteford and Richard Edge both returned for second spells at Vale after a few years with the Whitestone Park club. Also returning to Innerleithen was Mel Graham, after a spell with Lothian Thistle, alongside new boys Ryan McManus – younger brother of Ross – and Peter Shearlaw from Penicuik U-21’s and U-19’s respectively. With Robbie Clark now installed as assistant manager, John Sanders was given the captaincy. A tough pre-season programme saw visits from a Motherwell side featuring veteran Phil O’Donnell – who was to tragically collapse, and later die, during a SPL match against Dundee United six months later – in it’s line-up. A goal from exciting prospect Jamie Murphy five minutes before half time gave the Lanarkshire side the lead, but Vale fought back in the second half and equalised through Mel Graham. Games against Edinburgh University and Kirriemuir Thistle also resulted in draws, but Vale were well beaten as a talented young Livingston team visited Innerleithen and racked up a 7-0 victory, thanks to doubles from Leigh Griffiths and Innerleithen’s Murray Davidson, with Keaghan Jacobs, Jay Lang and Gordon Smith also netting. Once again the League Cup provided the season’s curtain raiser, with teams now split into groups of six, with each team playing each other once. Vale made a positive start against Hawick Royal Albert with a Mike MacKale hat-trick and further goals from Colin Smith, Ryan McManus and Peter Shearlaw ensuring a handsome 6-0 win. Unfortunately it was the last points Vale would get, as defeats followed to Annan Athletic, Heriot-Watt University, Easthouses Lily and Selkirk. Vale started off their East of Scotland League First Division campaign by drawing with Gala Fairydean at Netherdale, but slumped to defeat at home to Eyemouth United after a poor performance. This made it five defeats from the opening seven games and immediately following the game the club took the decision to part company with manager Stuart Robertson. A revolutionary change to the Scottish Cup saw all senior member clubs going straight into the first round draw, and for the first time SJFA sides were included in the competition, with the three regional league champions, Pollok (West), Linlithgow Rose (East), Culter (North), plus the SJFA Cup winners, who happened to be Linlithgow, joining in. Vale though, were paired at home in the First Round with familiar opposition in the shape of Gala Fairydean. With Robertson departed, Robbie Clark oversaw team matters alongside coach Jack Diamond and a splendid display saw Aaron Somerville score two and Mike MacKale add a third to give Vale a 3-0 half time lead. ‘Dean captain Shane Greene scored a penalty late in the game, after former Vale player Des Sutherland had been brought down by Scott Johnston, but there was no way back for the Gala men and Vale went through to the second round draw and a daunting trip to Aberdeenshire, to face SJFA North Region side Culter. Prior to the game, Vale officially announced their new look management team with Leithen Rovers assistant Lindsay Rathie coming on board to co-manage the side with Robbie Clark, who in addition to the First Round victory, had led the side to a league win against Heriot-Watt University at Riccarton, a game which saw the debut of new signing Ross Alexander, who had previously played for SJFA side Armadale Thistle. Aaron Somerville battles with Fairydean’s Shane Greene during the Scottish Cup First Round tie at Victoria Park. The Scottish Cup expedition up to Culter saw Vale come agonisingly close to taking their North Region opponents to a replay. Gordon Farmer gave the Aberdeenshire side the lead in 32 minutes, but Vale fought back well in the second half and substitute Aaron Somerville equalised with 15 minutes remaining. It looked as if Vale were going to take Culter back to Innerleithen for a replay, but tragedy struck as captain John Sanders was red-carded five minutes from time for his second bookable offence in the space of five minutes. Culter’s John Brown swung the resulting free kick over and, with the Vale defence still re-organising, Andrew Campbell hit the ball against the crossbar and Graham Cadger followed up to net. The result was a sore one to take, but three days later, any football result was put into perspective as Vale player Richard Edge collapsed after suffering a brain haemorrhage. The 26 year-old was rushed to hospital in Edinburgh and a game against Edinburgh Athletic the following Saturday was postponed as the club waited for news of his progress. After undergoing an operation and a few weeks spent in intensive care, Richard’s condition improved and a period of rehabilitation saw him make an excellent recovery and in April his wedding to Lisa went ahead as planned. Vale beat league newcomers Berwick Rangers Reserves 3-2 at home, but it was to be their last victory of the calendar year, as they drew the re-scheduled game against Edinburgh Athletic, went crashing out of the Image Printers Cup at the first hurdle to Easthouses Lily and drew at home with Tynecastle before suffering a 2-1 reverse against Heriot-Watt University. As 2008 started there was some changes to the squad, with John Sanders completing his long-awaited move to SJFA side Haddington Athletic after the clubs had come to an agreement. The captain’s armband was passed to Campbell Forsyth, who had a new partner in the centre of defence as Creag Robertson, who had appeared in the pre-season friendly against Motherwell, returned from the states, where he had starred for San Francisco Sharks in the Developmental League of the USL. Also joining up was former Scotland U-19 midfielder Steven Notman, who had ended his contract with Hibernian and joined his local side as he searched for full-time football at another club, while young defender Steven Wishart had joined the club on loan from Motherwell to play some competitive football in the East of Scotland League. After scheduled matches against Ormiston and Hawick Royal Albert were postponed due to the weather, the first game of the year was an encounter with Kelso United at Woodside Park that no one could claim was short on incident. Aaron Somerville gave Vale the lead after quarter of an hour, and Greig Shortreed controversially doubled it on 28 minutes. Shortreed had appeared to use a hand to help the ball into the net from Campbell Forsyth’s header, but the goal was allowed to stand and Kelso’s Derek Burnett was red-carded for the extent of his protests. A couple of minutes later Kelso were awarded a penalty after keeper Mark Wilson had brought down Darren Gillon in the box, and Wilson was also sent-off. Shortreed took over in goal, with his first job to pick Leighton Henderson’s spot-kick out the net. Steven Notman fired home from the edge of the area on his debut to make it 3-1 to Vale at half time, but the second half saw the home side come roaring back, and a deceptive lob from Craig Edwards and a Chris Baillie strike drawing the scores level, before Paul Dumma scored the winner, blasting home a spectacular free-kick from 20 yards into the top corner of the goal that no goalkeeper would have prevented. With the changes in the format of the Scottish Cup, the South Qualifying Cup had been scrapped, to be replaced with a new competition. The South Region Challenge Cup included the former entrants of the Qualifying Cup, along with the rest of the teams from the East and South of Scotland Leagues. After a First Round bye, Vale were paired with South of Scotland League high-flyers St Cuthbert’s Wanderers at home in the Second Round, the Kirkcudbright side having demolished First Round opponents Dumfries 10-1. After the weather had put paid to the match on the original date, a scrappy game a week later saw Mike MacKale give Vale the lead, before veteran Mark Baker equalised for the visitors. Aaron Somerville hit the winner in the second half to see off Wanderers, whose misery was completed by having keeper Shaun Hutchison sent off in the final minute. The result saw Vale through to another home tie, against Edinburgh City. Pre-match the omens were not good, with Vale suffering the loss of no fewer than seven regulars through a combination of illness, unavailability, injury and suspension – a situation which was to be repeated many times before the end of the season. Due to the rules banning the use of trialists in cup ties, Vale brought back Steven Whiteford, who had not played in three months, while coach Jack Diamond was hurriedly registered as a player to take his place as the only substitute. Starters Ross McManus and Aaron Somerville were suffering the effects of flu, and it all pointed towards a comfortable win for the East of Scotland Premier Division side, but Vale upset the odds by pushing City all the way with a spirited performance, with only a goal from the Citizens’ deadly striker Robbie Ross separating the sides at the final whistle. A goal from Colin Smith brought victory in a tricky away league fixture at Eyemouth United, keeper Mark Wilson preserving the three points with a stunning save from Andrew Patterson in the dying minutes, while the long-awaited first Peeblesshire derby of the season saw an early goal from Paul Devlin secure the points for Peebles. Wet weather during April saw the postponement of several fixtures, with Vale finding two consecutive games hard to come by. When they eventually did, it was a double-header against Kelso United. In a King Cup tie, two goals in the space of a minute from Colin Smith set Vale on their way, with Ryan McManus added another before half time. Chris Black pulled one back for Kelso who, no doubt remembering their tremendous fightback at Woodside Park in January, had Vale back on their heels for a spell, until a Mike MacKale goal wrapped things up. Four days later United were back at Victoria Park for a league fixture, with Vale again triumphing thanks to a goal from Greig Shortreed and a double from Aaron Somerville. Greig Shortreed was the hero as Vale gave Peebles’ promotion bid a knock by netting a double against his former club, and Vale cruised through to the last eight of the King Cup after destroying Hawick Royal Albert 8-1. But Vale crashed at home to Gala Fairydean, with the visitors not only fired-up by the memory of their Scottish Cup exit, but of having to wear Vale’s red change strip for the match after referee Andy Rooney had ruled that Fairydean’s black and white stripes clashed with the navy blue of Vale. The result ensured that Vale would finish no better than mid-table, and the main focus of attention became the last competition of the season, the King Cup. Vale faced Heriot-Watt University in the Quarter Final, the Riccarton side receiving the First Division Championship trophy before the game. Vale took a two-goal lead through a superb Steven Notman free kick and an Aaron Somerville penalty. The students clawed their way back with a double from Banji Koya – his second a penalty – to make it all square at half time, but a Robbie Clark strike ten minutes into the second half put Vale back in front and they held out to progress to a semi final meeting with Lothian Thistle. Although Thistle were drawn as the home team, the unavailability of Saughton Enclosure meant that the game was switched to the Civil Service Sportsground, and Vale made a great start to the game, with a Greig Shortreed header giving them the lead in the sixth minute. Shortly before half time Phil O’Neill equalised for the capital side, but again Vale showed great character to bounce back and a powerful volley from Aaron Somerville put Vale back in front, and into the final. Vale’s route to the final had echoed that of their last cup final appearance seven years previously, when victory over Lothian Thistle in the semis had seen Vale face Spartans in the final at Rosewell. Vale’s big day was slightly soured by some confusion over the date of the final. It had been anounced before the semi finals as Saturday 7th June, however Spartans objected as they would have players on holiday and it finally went ahead on Monday 2nd June when Vale were missing players themselves. Spartans held a three goal lead by half time, and had notched another three in the second half prior to Steven Notman curling home a free kick and a seventh before substitute Frank Harrison scored the last goal of the game to make the final score 7-2 to the Edinburgh side. The season’s player awards saw left back Ross McManus voted Players and Supporters Player of the Year, while top scorer Aaron Somerville was also awarded the President’s Player of the Year by Willie Brunton. * Eyemouth United deducted three points for failing to fulfill fixture.